Scientists have identified a new class of mosquito. 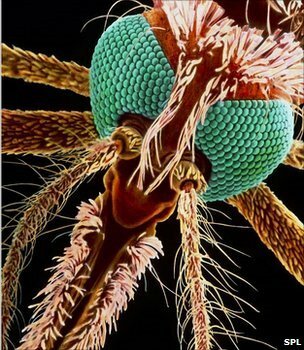 It is a subtype of Anopheles gambiae, the insect species responsible for most of the malaria transmission in Africa. Researchers tell Science magazine that this new mosquito appears to be very susceptible to the parasite that causes the disease - which raises concern. The type may have evaded classification until now because it rests away from human dwellings where most scientific collections tend to be made. 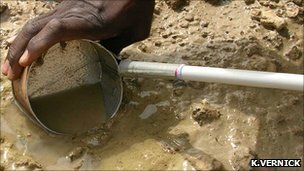 Dr Michelle Riehle, from the Pasteur Institute in Paris, France, and colleagues made their discovery in Burkina Faso, where they gathered mosquitoes from ponds and puddles near villages over a period of four years. When they examined these insects in the lab, they found many to be genetically distinct from any A. gambiae insects previously recorded. The team grew generations of the unique subtype in the lab to assess their susceptibility to the malaria parasite and this revealed them to be especially vulnerable, more so than indoor-resting insect types. But Pasteur team-member Dr Ken Vernick cautioned that these mosquitoes' significance for malaria transmission had yet to be established. "We are in a zone where we need to do some footwork in the field to identify a means to capture the wild adults of the outdoor-resting sub-group," he told BBC News. "Then we can test them and measure their level of infection with malaria, and then we can put a number on how much - if any - of the actual malaria transmission this outdoor-resting subgroup is responsible for." The researchers report in Science magazine that the new subgroup could be quite a recent development in mosquito evolution and urge further investigation to understand better the consequences for malaria control. They also emphasise the need for more diverse collection strategies. The subtype is likely to have been missed, they say, because of the widespread practice of collecting mosquitoes for study inside houses. In one sense this has made sense - after biting, mosquitoes need to rest up and if they do this inside dwellings, the confined area will make them an easier target for trapping. However, the method is also likely to introduce a bias into the populations under study. Commenting on the study, Dr Gareth Lycett, a malaria researcher from the Liverpool School of Tropical Medicine in the UK, said it was an interesting advance that might have important implications for tackling malaria. "To control malaria in an area you need to know what mosquitoes are passing on the disease in that district, and to do that you need sampling methods that record all significant disease vectors," he told BBC News. "You need to determine what they feed on, when and where, and whether they are infectious. And where non-house-resting mosquitoes are contributing to disease transmission, devise effective control methods that will complement bed-net usage and house spraying. A recent 12m-euro multinational project (AvecNET), funded by the European Union, and led by the Liverpool School of Tropical Medicine has the specific aims of doing just this." According to the World Health Organization (WHO), there are more than 200 million cases of malaria worldwide each year, resulting in hundreds of thousands of deaths, most of them in Africa. Malaria is caused by Plasmodium parasites. The parasites are spread to people through the bites of infected female Anopheles mosquitoes.